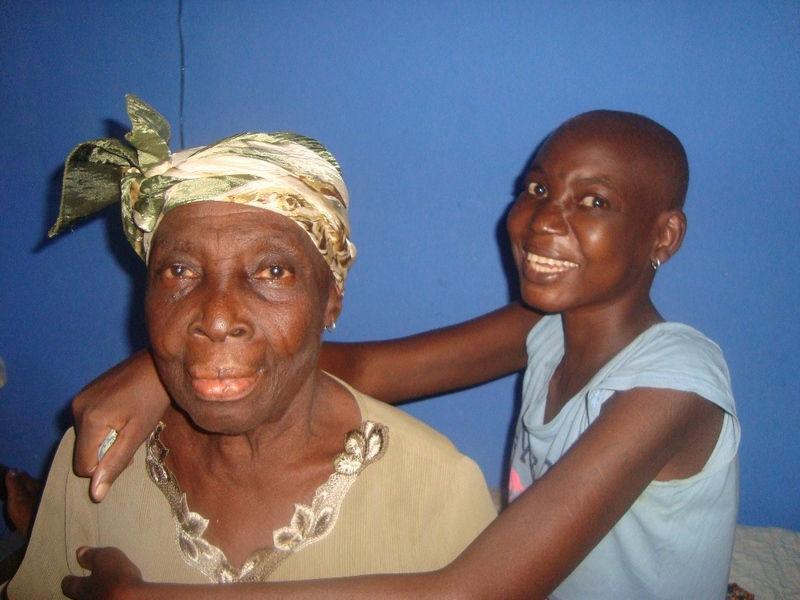 Naomi was brought to Hôpital Baptiste Biblique in January 2012 after falling a fall which left her paraplegic. Her husband abandoned her soon after hearing the diagnosis, leaving Naomi angry and depressed. At the Hospital, Naomi heard that Jesus offers spiritual hope and wholeness, regardless of one’s physical state. As a fetisher (a worshiper of the spirit world), Naomi had sacrificed to idols, but she now saw the hope that Christ’s sacrificial death and resurrection brings. Her countenance changed from bitter hopelessness to radiating peace and joy. 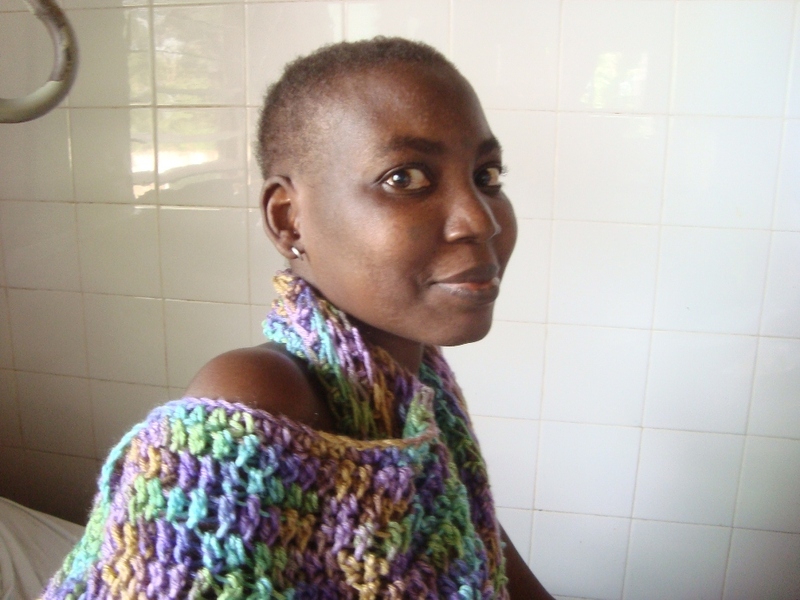 Now, having survived numerous illnesses and prolonged hospital stays, Naomi is flourishing, learning more about the Bible. Susie Briggs and Christy Sopcisak have been instrumental in teaching her how to crochet and encouraging her through a translator. Naomi does not speak French. 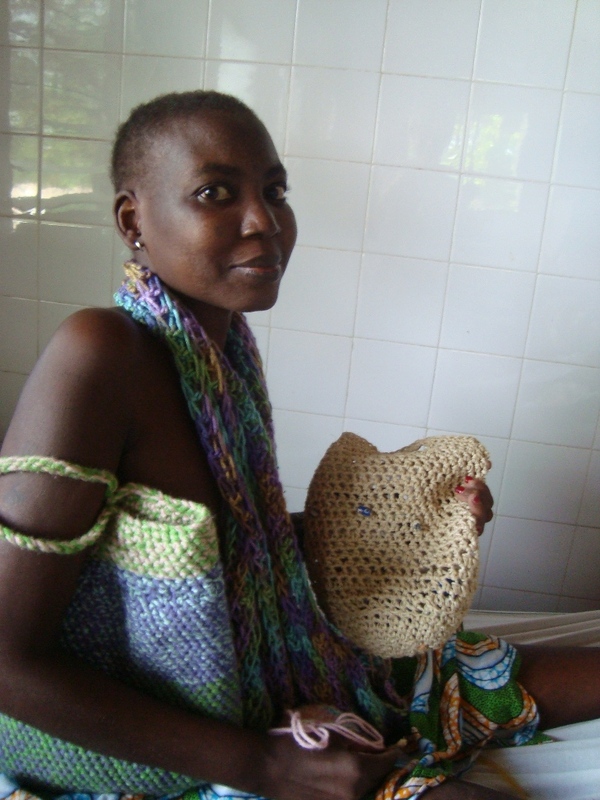 She sells her crochet creations (scarves, hats, purses, water bottle covers, and other things) to help cover her living expenses. Her capacity to do skilled work even in her handicapped state brings her dignity and joy! 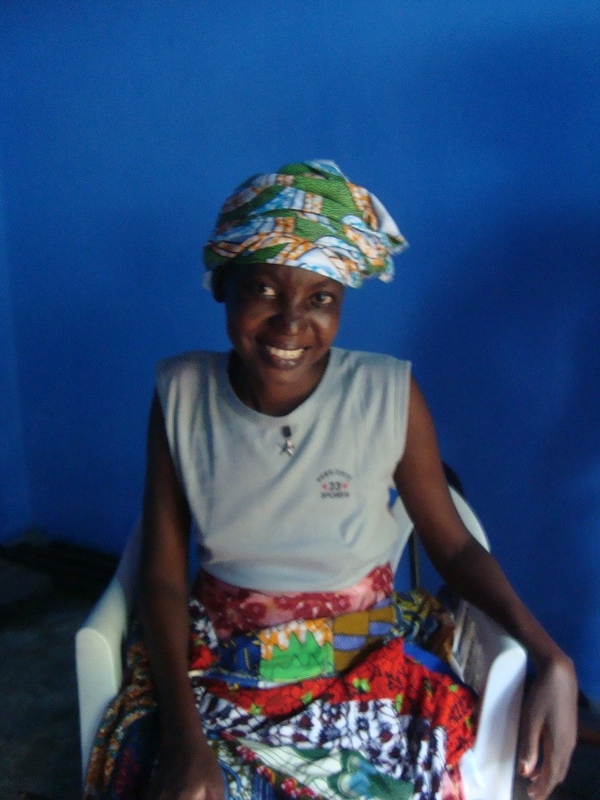 Naomi’s mother came to live with her for a while after the accident, and she came to know Christ as well. She explained that after her daughter’s accident, she knew there was only one true God to be worshiped!